The new season of GDG DevFest Ukraine is announced. 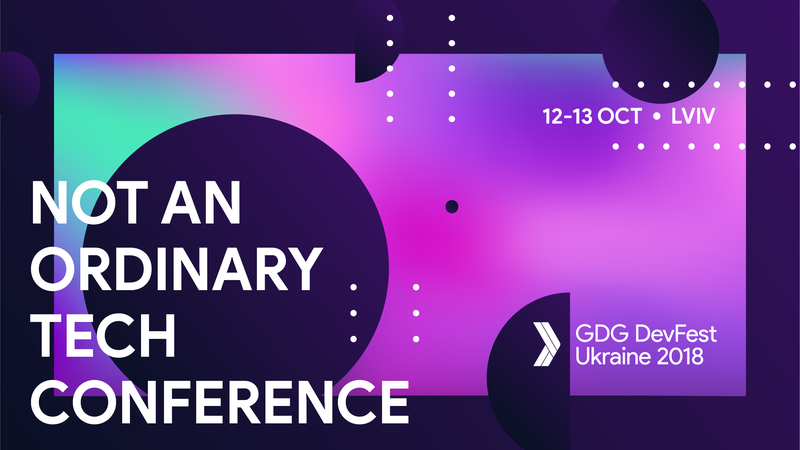 It is the biggest conference in Central and Eastern Europe focused on Google technologies, and it will take place in Lviv, on October 12-13. The organizers expect over 1000 engineers, managers, and entrepreneurs, who will come to learn and share experience about Android, Web and Cloud technologies in the phenomenal atmosphere. The participants will get 2 days of meeting new people, 42 sessions of experience sharing and 6 workshops of practical knowledge. This year GDG DevFest is moving to Planeta Kino – comfortable 7-hall cinema. “We make this conference for people like us, who are eager to learn, willing to meet, bond and contribute, ” the organizers say. Get ready to meet world’s best tech speakers from product companies like Google, Intel, Twitter, DeepMind, Twilio, Microsoft, Runtastic, Telerik, who will discuss the hottest technical topics. Also, the organizers prepared 200 m2 of expo zone filled with AR, VR, Internet of things and artificial intelligence demos. Get your ticket to #DFUA 2018 on the conference website..
Watch the video to see how it was in 2017. Subscribe to DevFest newsletter or follow the event on Facebook, Twitter and Instagram not to miss new speakers announcements, tickets info and conference updates.